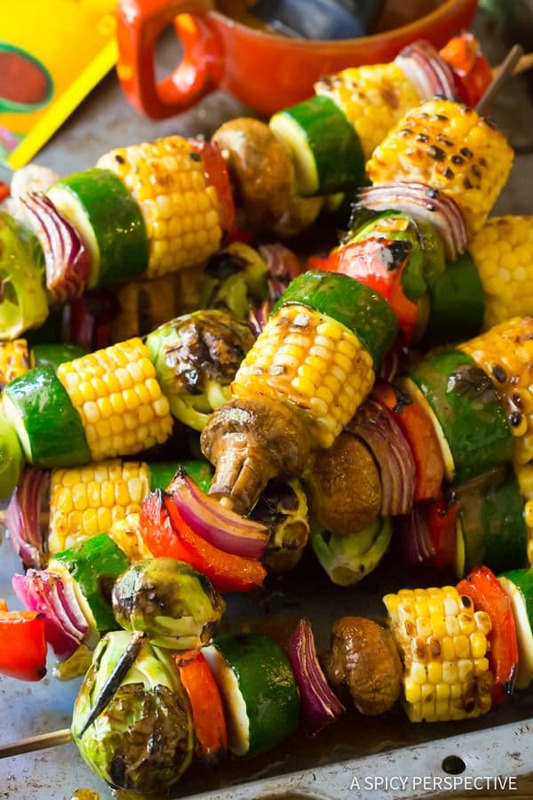 Hot sizzling Grilled Fajita Vegetable Skewers dripping with zesty fajita butter. Summer vegetables should be celebrated, don’t you think? We wait all year long for corn on the cob to be sweet and juicy. Zucchini and peppers are never as crisp and flavorful as they are in the summer months. 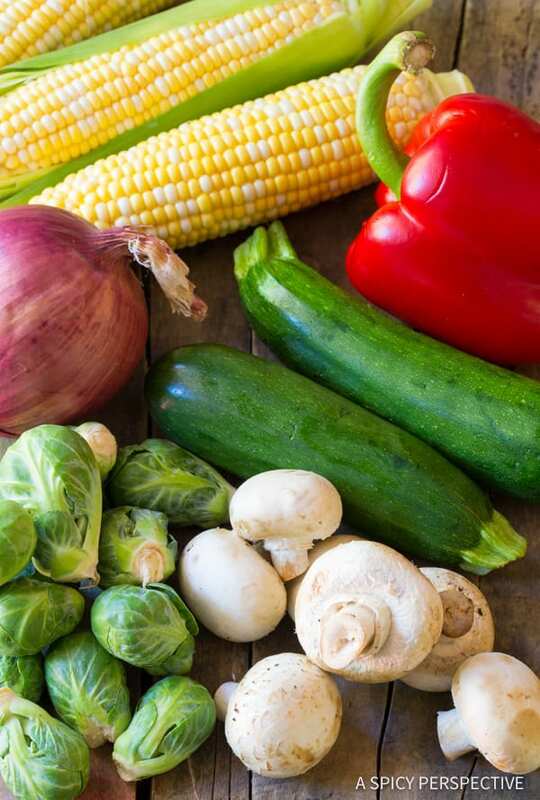 This is the time to make the most of our veggies and eat them in large quantities. Grilling one of the best ways to cook vegetables in the summer because you keep the heat outside and your house cool. The char offers a bit of smoky flavor, yet you can capture the veggies in a half-cooked state so you retain the fresh taste and texture. Often I just throw vegetables straight on the grill, expecting to sacrifice a few to the flames. Grilled corn is a favorite, because it tastes amazing and doesn’t fall through the grates. Yet, it’s fun to mix this up from time to time. 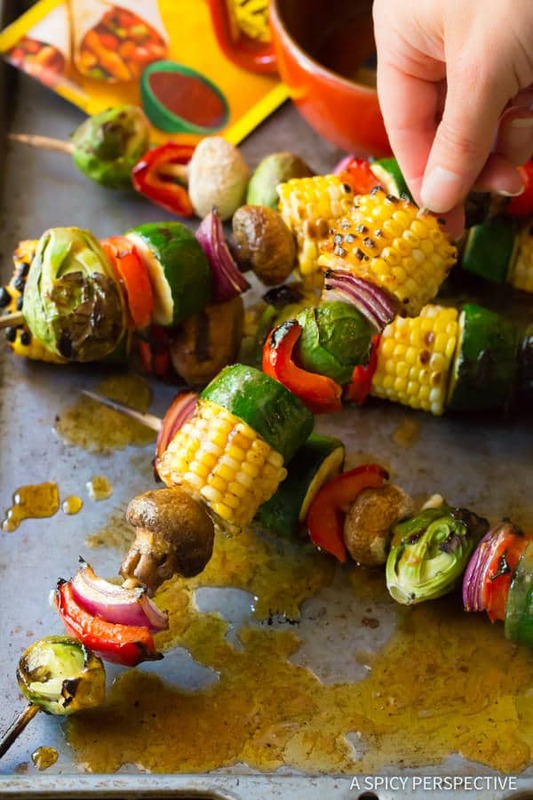 In today’s Grilled Fajita Vegetable Skewers recipe I literally “mixed things up” by cutting my corn cobs into short rounds and stringing them on skewers with fresh garden zucchini, bell peppers, red onions, mushrooms, and even brussels sprouts. 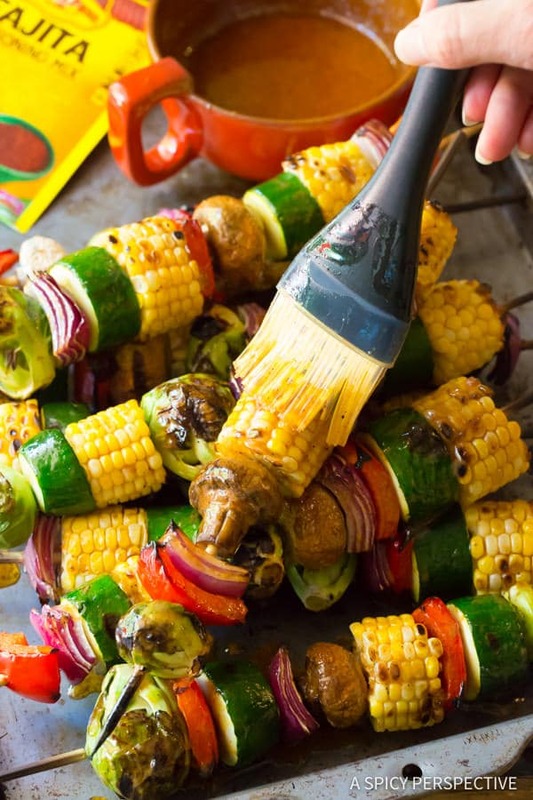 Grilled Fajita Vegetable Skewers transform into sheer veggie ecstasy with the addition of zesty “fajita butter” made with melted butter, a little lemon juice, and Old El Paso Fajita Seasoning Mix. 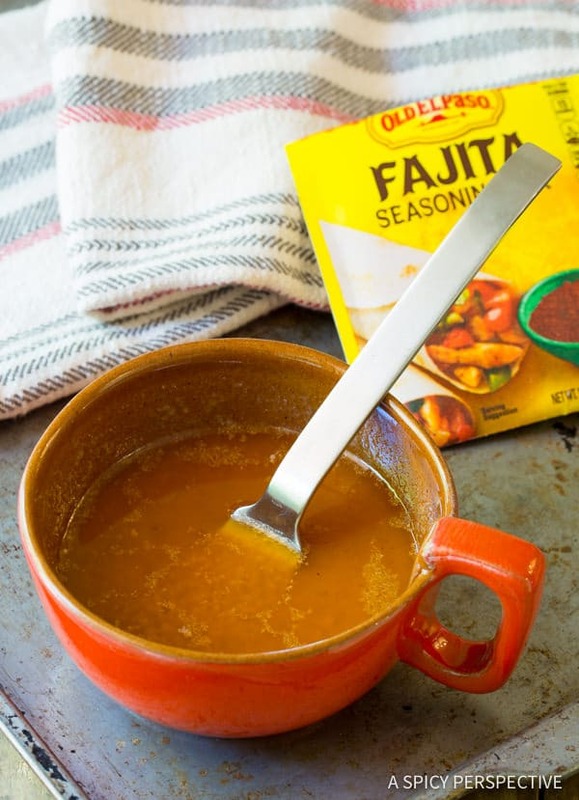 The fajita seasoning elevates the smoky grilled flavor and offers a bit of spice. 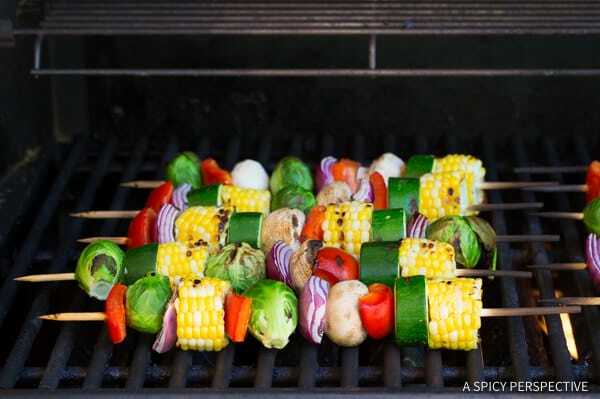 It’s fabulous on the Grilled Fajita Vegetable Skewers, yet can be used on all sorts of grilled summer veggies and fish! I like to use metal skewers for this recipe, because it allows you to brush the fajita butter over the skewers while they are on the grill. However I photographed this recipe using wooden skewers so you could see they work too. Just be sure to buy the thick sturdy wooden skewers, not the flimsy kind. Soak them in water before using. Then brush the fajita butter over the Grilled Fajita Vegetable Skewers once they come off the grill. 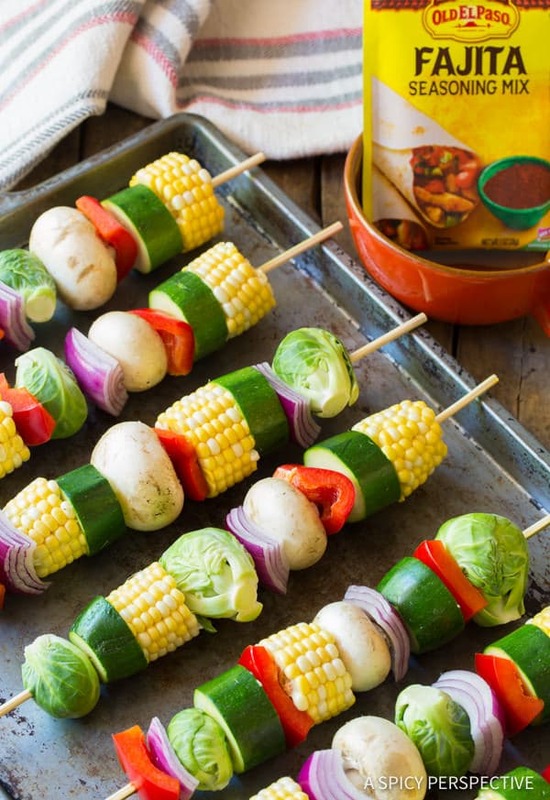 Our Grilled Fajita Vegetable Skewers are a marvelous summer side dish to pair with any grilled protein for a quick and tasty meal. I bet your kids will even love to eat their veggies this way! 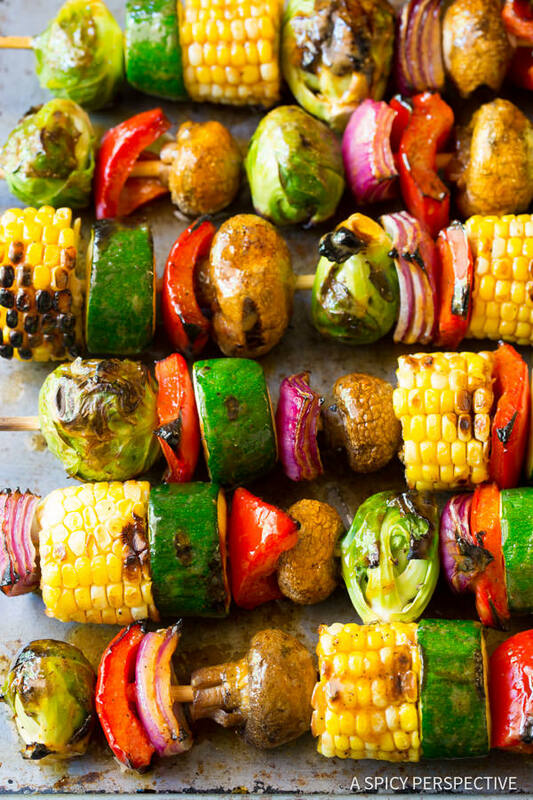 Grilled Fajita Vegetable Skewers - A healthy vegetarian skewer recipe loaded with fresh summer veggies and "fajita butter." 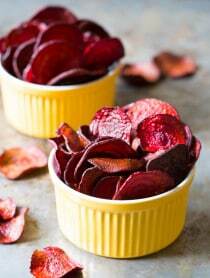 A fabulous side dish for picnics! If using wooden skewers, soak them in water at least 30 minutes before cooking. Preheat the grill to medium-low heat, around 325 degrees F.
Shuck the corn and cut into 1 1/2 rounds. Cut the zucchini into 1 inch rounds. Cut the bell pepper and onions into 1 1/2 inch square pieces, and discard pepper seeds. Trim the brussels sprouts. 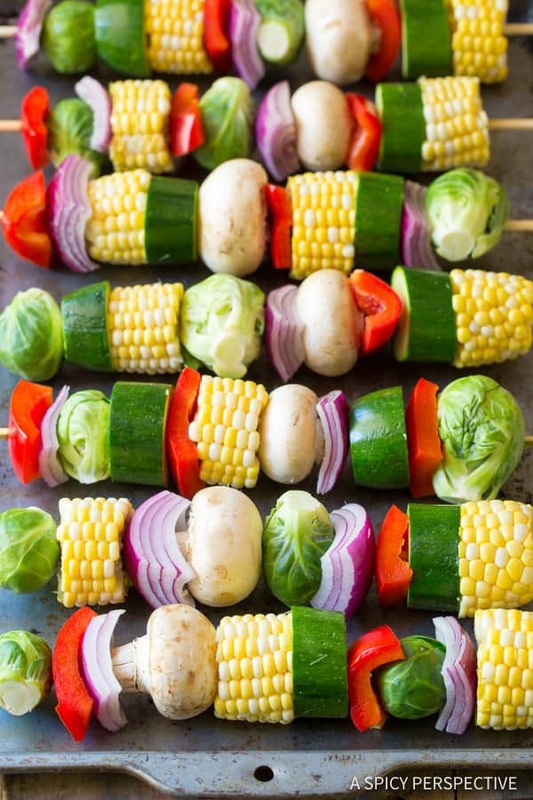 Work the vegetables onto the skewers in a random pattern. 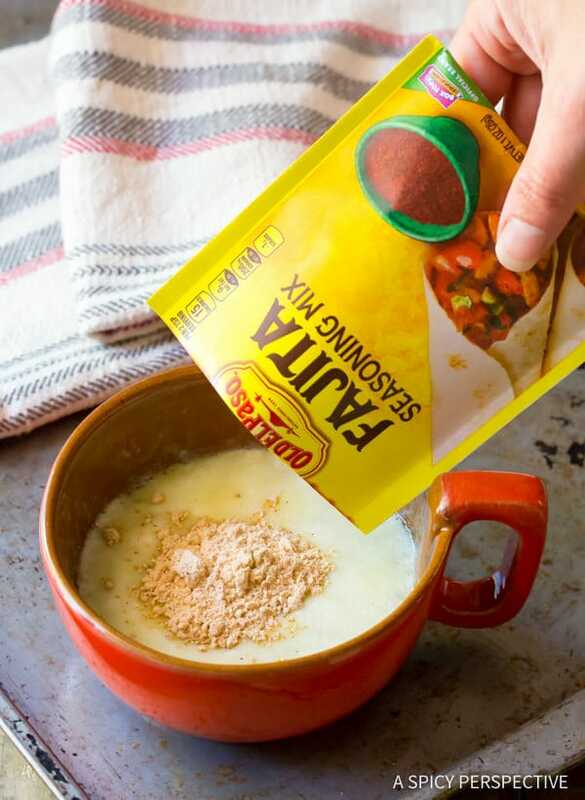 Melt the butter and whisk with the Old El Paso Fajita Seasoning Mix and lemon juice. If using metal skewers: grill for 15 minutes, dry. Then brush with the fajita butter and grill another 5 minutes. Rotate the skewers every 3-5 minutes. Brush the remaining fajita butter over the skewers once off the grill. If using wooden skewers: Grill the skewers dry for 20 minutes, rotating them every 3-5 minutes. Then remove the skewers from the heat and brush thoroughly with fajita butter. Serve warm! Going green? Buy reusable metal skewers! I made these for a family bbq and they were a huge hit! 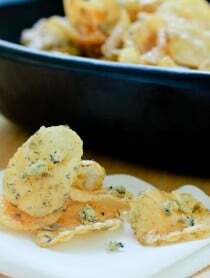 We are going to keep this recipe for a Go to when camping or just backyard bbq’s. The Fajita butter really made the veggies tasty! Wow. It looks delicious. 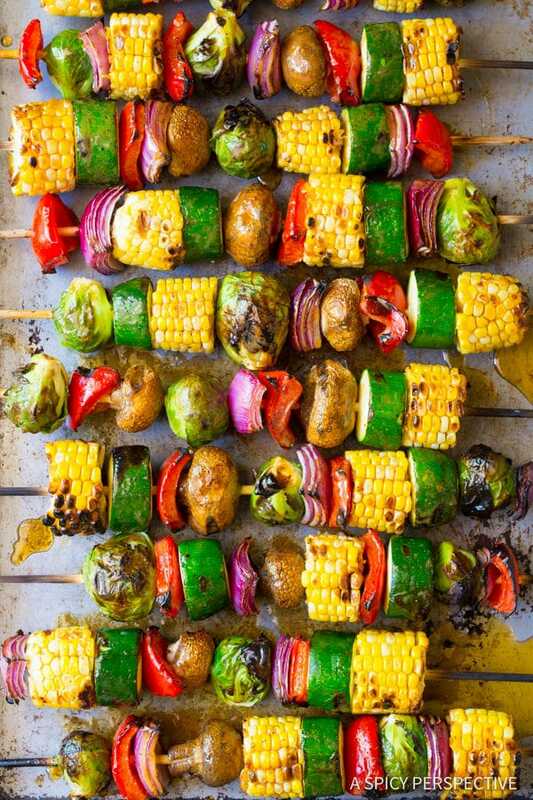 I love grilled fajita vegetable skewers. So, I will try to make it very soon. Your recipe will help me. Thanks for sharing your recipe. I am having a heck of a time getting the corn on the skewers!! Any tips? I’m using wooden ones. Is it 136 calories for one skewer? I made these for a birthday party for my vegetarian sons. I marinated firm tofu 1″ squares for around 20 minutes while I cut veggies. Very tasty. They were a huge hit with other guests as well since the person BBQing decided to put them out for other guests. Fortunately one son couldn’t come and I snagged three of them in time before they were all gone. I used Trader Joes taco seasoning and added a little extra lemon (because I love lemon). Use the size of the corn and squash to give the kabob an even cooking distance. 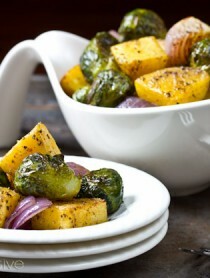 We didn’t use brussel sprouts (because I hate them), but I am sure they would have be great. These were a major hit at two large events recently! Cutting the corn into chunks, however, was really hard, and I would love tips on how to do this better! I ended up in urgent care with stitches as my knife slipped :-( The effort was worth it in the end because of how much everyone love these and how pretty they are – – but some tips on how to safely get the corn would be super – appreciate it! I’m glad you liked the recipe, but hate that you hurt yourself! My best tip for cutting the corn would be to just make sure your knife is very sharp. Then give them a good hard whack – Making sure your other hand is well out of the way. Such a great idea for the grill! These veggies are so pretty and colorful! I’m lovin all the veggies here! Love eating the colors of the rainbow!